The couple’s wedding last month attracted attention from all around the world. ON 10 JULY, Prince Harry and Meghan Markle arrive in Dublin for a two-day trip. 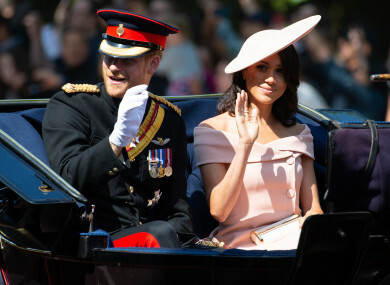 The couple, who have attracted much attention since their whirlwind romance and broadcasted wedding last month, plan to visit Croke Park, Trinity College Dublin, the Famine Memorial and the Irish Emigration Museum. So will you try to catch a glimpse of Prince Harry and his wife Meghan Markle during their visit to Ireland? Email “Poll: Will you try to catch a glimpse of Harry and Meghan in Ireland?”. Feedback on “Poll: Will you try to catch a glimpse of Harry and Meghan in Ireland?”.